36.5 percent of all Bulgarian households struggled to keep their homes warm in the winter of 2017. One year earlier, the share of population reporting arrears on their utility bills (electricity, heating, gas, water, etc.) reached 28.7 percent. These are the two main EU indicators of energy poverty, and Bulgaria scores first in the list of the European countries, outpaced only by Greece in the second indicator. Taken as a whole the energy poor represent one-third of the Bulgarian population. This is three times the EU average. Meanwhile, in 2016 Bulgaria exported electric current worth 506 million USD. This small Balkan country counts among the top ten electricity exporters in the EU. Total Bulgarian electricity current exports for the decade between 2007 and 2016 amount to 4.889 billion USD, according to UNCTAD, the United Nations committee for trade and development. Taking into consideration the exchange rate and the consumer price index, the average annual export during this decade is almost one billion Bulgarian leva (1 euro = 1.955 BGN). It is hard to omit the link between the abovementioned facts. Bulgarian power plants produce cheap electricity, and some well-connected intermediaries export it and put the hefty profits in their pockets. Yet the ordinary people have to buy much more expensive energy on the domestic “regulated market” engulfed by vested interests. How typical – a handful of oligarchs extract profits while the population suffers. Yet this awkward situation has rarely been challenged since energy is everything but economy in Bulgaria. In Bulgaria, energy is a partisan policy, a source of windfall profits, a proof stone of loyalty toward foreign governments, a trump card of trade unions, nationalistic fetish, even religion, but not what it has to be – a nationally responsible and economically sensible business activity. It is instructive how fast the Bulgarian politicians use to change their views on energy matters when feeling the wind of profits in the air. The Prime Minister Boyko Borisov himself changed his mind at least four times on the question whether to build the second Bulgarian Nuclear Power Plant in Belene, the small town on the Danube River. In March 2010 Mr. Borisov declared that Belene NPP is a sublime form of corruption, “a water hole full of frogs worth 800 million BGN”. One year later he stated: “We are going to build it, certainly”. Between March 2012 and August 2016 Belene NPP turned again into a “water hole” for which each Bulgarian paid so far the equivalent of a Mercedes car (the first attempts to build the second Bulgarian NPP with a Russian help date back to the 1980s and billions of public euros are spent so far on it). Gradually during the course of 2018, the Bulgarian Prime Minister decided that the Second NPP is extremely necessary for Bulgaria. Even more – he said that without a second NPP, the Bulgarian economy will collapse and the nation could face a default. The same transformation occurred with the former energy minister Delian Dobrev of the ruling party GERB. Back in 2013, he scientifically proved that there is no need for another big electricity-producing power plant in Bulgaria. Instead, the country should bet on wind and solar, told Dobrev. The same person undersigned on 7th June 2018 a mandate to the energy minister to seek for investors to build this NPP on a private basis. The minister in question, Temenujka Petkova, sings with Borisov: “If we could not find an investor to build this new NPP, the whole energy sector will be put in danger. A danger of what? Probably, of lost profits for vested interests. A leaked document of the US Embassy in Bulgaria already in 2006 told the story of the electricity-exporting intermediaries profiteering at the state’s expense. In the same document made available through WikiLeaks, the experts conclude that the main reason for the Belene NPP project is profits for the electricity exporters. Obviously, these exporters are closely connected to the Bulgarian political parties. The spoils of the Belene NPP would be so big that all of the competing political and energy lobbies could unite to have their piece of the cake, according to the US energy experts. Twelve years later, this prediction turned into a fulfilled prophecy. On 7th June 2018, both left-wing and right-wing MPs shook their hands to invoke the ghost of the supposedly buried nuclear project. 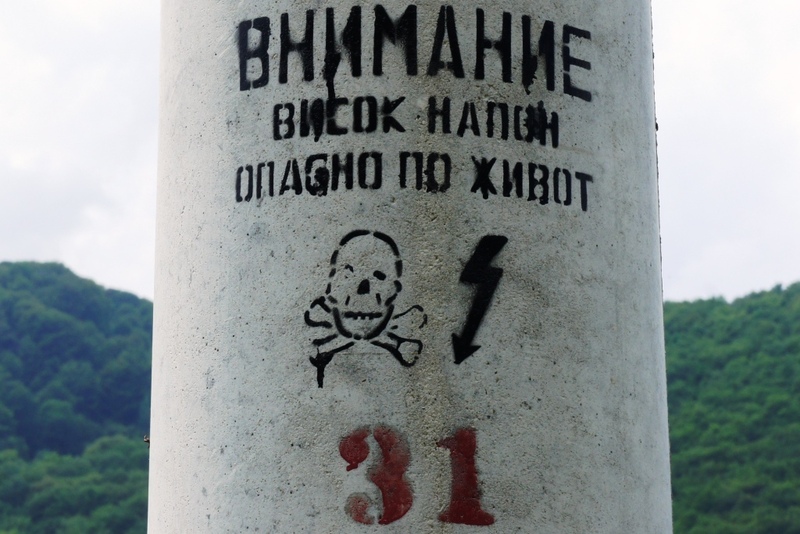 Bulgaria already has one big nuclear power plant on the Danube River near the town of Kozloduy. Yet the question why not use the already purchased Russian equipment for Belene NPP to expand the capacity of the existing Kozloduy NPP is fiercely refuted by both politicians and energy shamans. No doubt, it is possible to find a technical solution. Yet having a mere new nuclear reactor allows for much lesser corruption than constructing a completely new power plant with a capacity of 2000 MW. Without going into details, Borisov shouts “Belene or Death”! He applied the same approach in 2014 when the Bulgarian government suddenly drew billions in new public debt. Fear beats transparency and accountability, and Borisov knows how to use the key phrase “national default”. Who cares that the Bulgarian population is decreasing and therefore the demand for electricity is shrinking? The energy efficiency in both industry and households is rapidly increasing, and the alternative price of green energy is diminishing. In addition, the high seismic activity in Belene has led to several major earthquakes in the last century. Moreover, there is no plan for storing or proceeding the used up nuclear fuel, and there are no regional markets secured for the production of the second Bulgarian NPP. The economy remains meaningless to the Bulgarian energy sector. If this were not true, how could the small and unknown Bulgarian firm Inercom appear as a pre-selected buyer of the assets of the biggest electricity provider in the country? The owners of the mentioned company are familiar only to the energy minister Petkova – but not professionally, only as family friends. There is no economy also when the state Energy and Water Regulation Commission year after year breaches the Bulgarian Energy Law and sets lucrative prices for the “efficient energy” of two dozens of old coal-fired power plants. A recent report by Greenpeace uncovered that the price of wind and solar energy in Bulgaria is now 30 percent lower than the subsidized prices received by those friendly private coal power plants. Just to mention that the Chairman of the energy commission, Ivan Ivanov, who in theory should act as a last custodian of the public interest, was a special informer of the US Embassy in Bulgaria on energy matters (See the WikiLeaks cable cited above, p. 20). Maybe it is just coincidence that this commission was not too active when several Bulgarian business lobbies raised their voices against the pre-guaranteed profits of the so-called American coal power plants in the Maritsa lignite basin, worth half a billion BGN per annum. One billion Bulgarian leva is the annual worth of the exported electricity current. In the same time, one million households stay cold in winter to lessen their monthly bills. A second nuclear power plant would not alter this situation, neither third nor fifth would. It is perfectly clear that the electricity of the Belene NPP if ever produced, would not reach the Bulgarian households or entrepreneurs. The real beneficiaries would be the partisan oligarchic circles. There is an iron business model behind this zombie project. The risks of nuclear disaster remain with society. The obligation to store the used fuels is also socialized, as well as the credit guarantees and interests on public loans. The Bulgarian nation will suffer the indignation of the world environmental community. The operation profits… Maybe they will alleviate the energy poverty? This entry was posted in English and tagged Belene, Belene NPP, electricity export, nuclear energy, nuclear power plant. Bookmark the permalink.